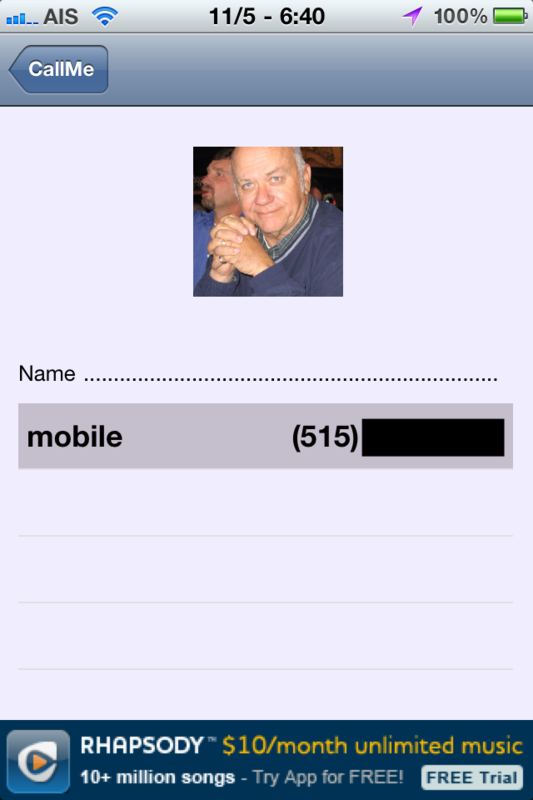 Once CallMe is installed, just open the app and pick a contact you want to reach straight from your home screen by tapping the plus sign in the top right. 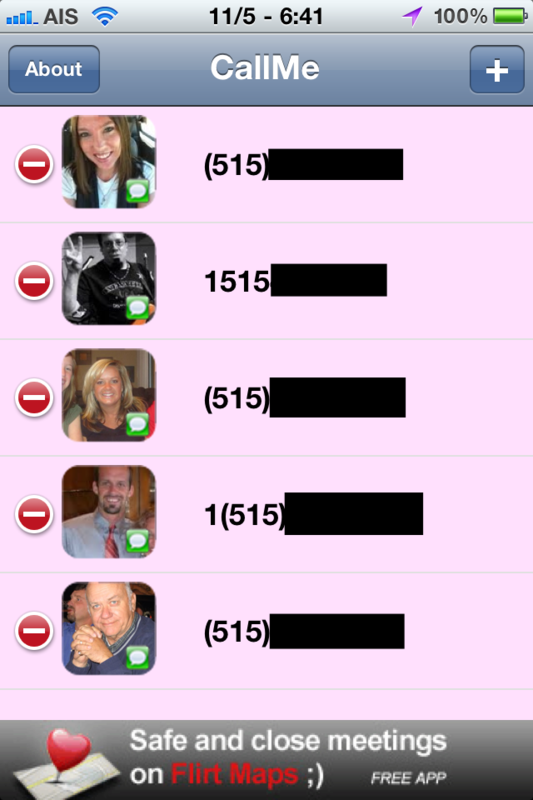 Once you select who you want to contact, pick the number you want to reach them at. 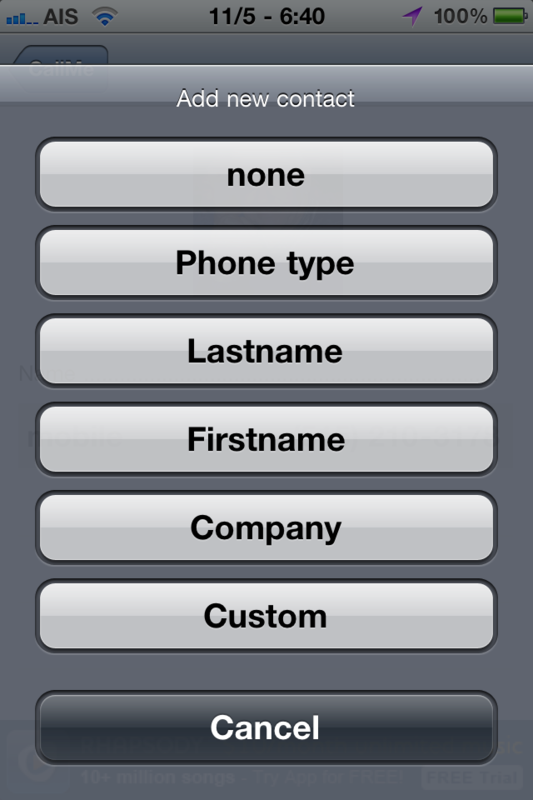 Next pick if you want to call them or text them and pick what text you want to show under the icon. Close the app and your iPhone will respring. You’re all set! The features of this app are great. 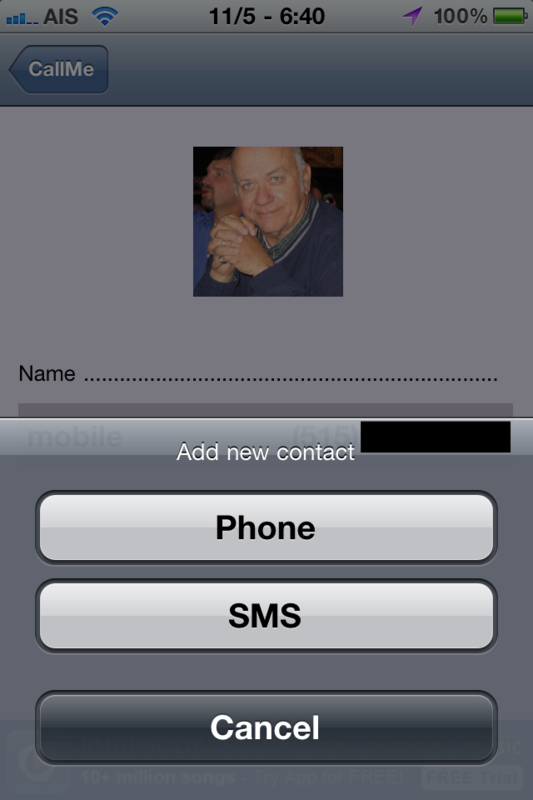 You’ll want to make sure the picture you have for your contact really fills the screen when you add the image through your contacts app. This makes the icon look best. I also love features like a little SMS icon added to the icon to show the icon links to texting instead of calling. There’s also many options for naming the icon. The more customization, the better in my opinion. The app does respring in a weird way once closed. It seems it takes longer than usual. Overall it’s a very nice app for being free and just being upgraded for 4.1. Once set up, it works great! TIP: I use Facebook mobile in Safari to save pictures of my friends and I use these to add the photo to my contact for them. Great App! Thank you for sharing. Now I can have my sister and my daughter literally at my fingertips. 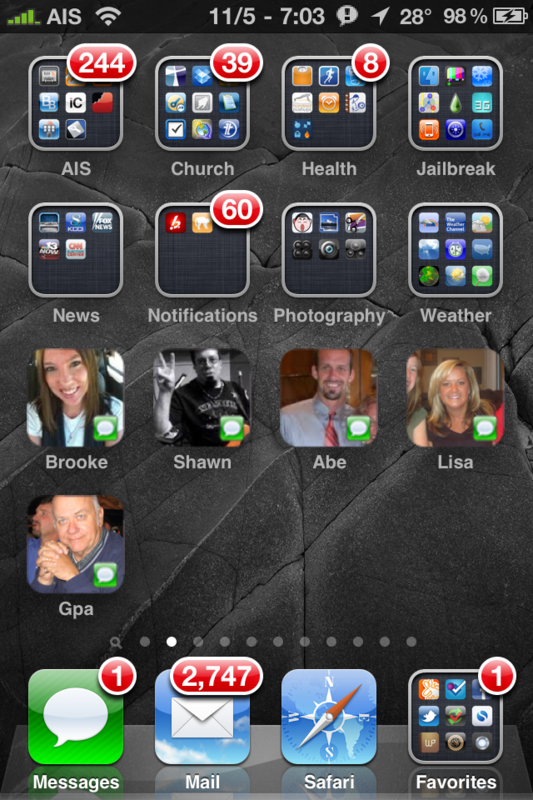 This is a VERY IMPRESSIVE tweak. Something I’ve been waiting a while for. Thank you for some other fantastic post. The place else may anyone get that kind of information in such an ideal manner of writing? I have a presentation next week, and I’m on the look for such info.